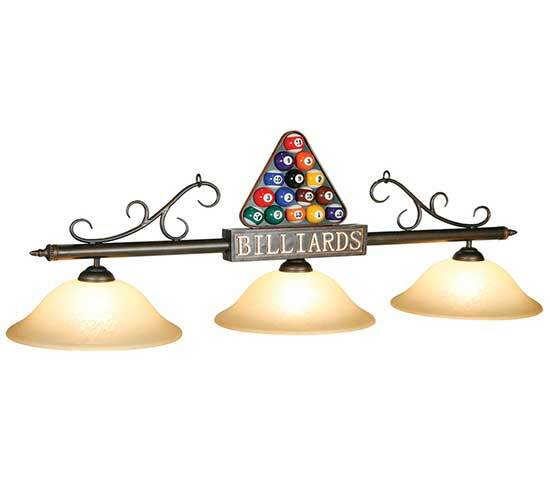 Looking for a light for above that pool table of yours? 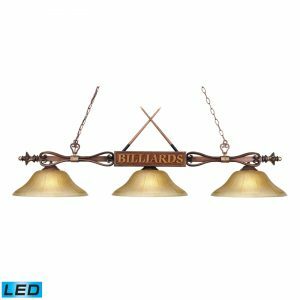 This fixture is classic billiards themed light through the billiards rack and text “billiards” on it. 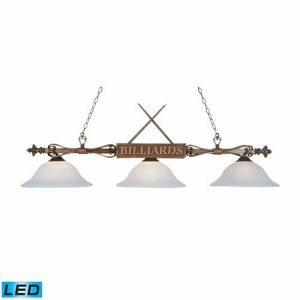 On top of the pool table inspired theme of this light, it is paired with beautifully crafted shades and a bar that matches perfectly with the theme of a billiards room. 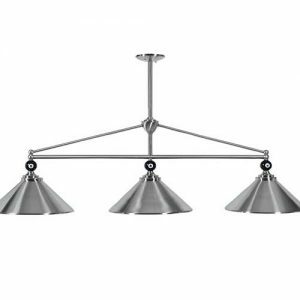 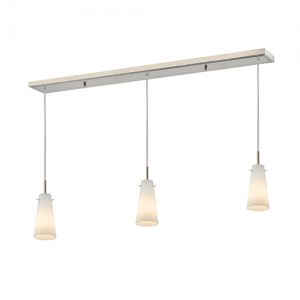 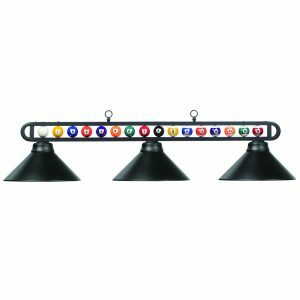 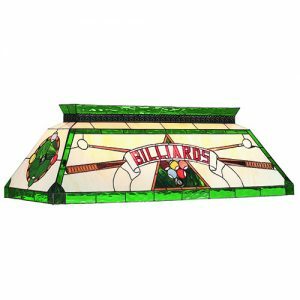 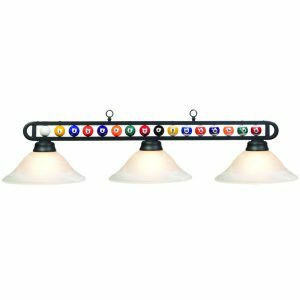 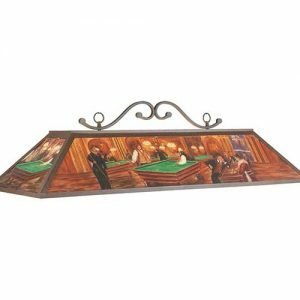 RAM Game Room has done an excellent job bringing a classic billiards styled light for illuminating any pool table.